Capstone Turbine Corp. has received an order for a C1000 Signature Series microturbine and a C600 Signature Series microturbine for an oil and gas platform off the coast of California, USA. Regatta Solutions, Capstone’s distributor in California, secured the order, which is expected to be commissioned in December 2016. 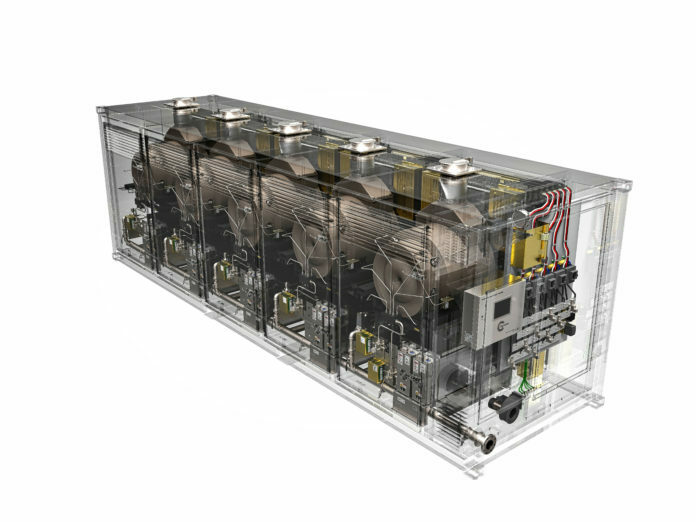 The associated gas-fueled C1000S and C600S microturbines will be installed in a combined heat and power (CHP) application and operate using the onsite associated gas stream to relieve the flaring requirement for the platform. Hot water, produced from the microturbine exhaust, will provide heating for the production process to reduce additional energy needs. The microturbines will provide power to site loads, lowering operating costs for the end customer, according to Captstone. This marks the second order within a month for the C1000S microturbine in a flare gas application. On July 21, Capstone announced the order of two C1000 Series microturbines to Republic of Uzbekistan. The microturbines will be powered by natural gas that would otherwise be flared, or vented, into the atmosphere. The microturbines will be the primary power source for an oil and gas production facility as well as powering a water pump and cooling systems. BPC Engineering, Capstone’s largest distributor in Russia, brokered the deal. Commissioning of the two C1000 Signature Series microturbines is expected to take place in November.